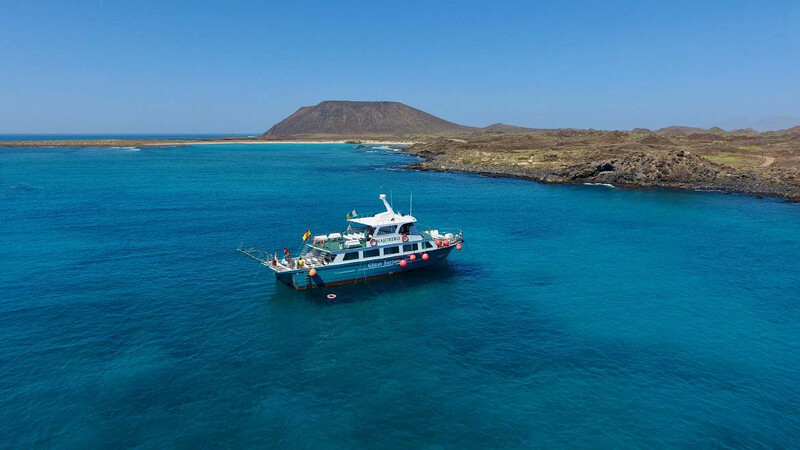 A short walk along the south coast of the island of Lobos to "El Puertito" by boat with underwater vision, with wonderful views of Isla de Lobos, Fuerteventura and Lanzarote. Anchoring of 25 min. 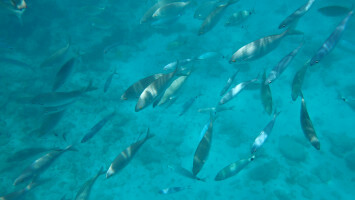 to take a bath, feed the fish and practice snorkeling. 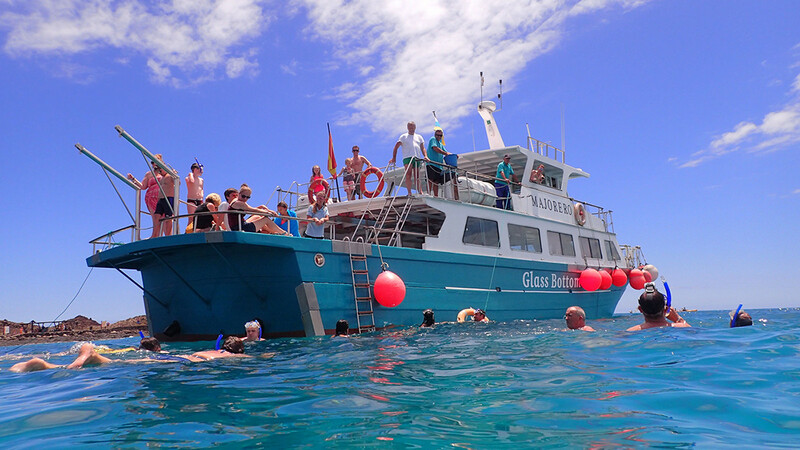 The price includes roundtrip ferry tickets, a drink and snorkeling equipment on board. It is possible to combine leaving in the first boats of regular line and to return in the last, for example: it is possible to be in the boat of the 10h and to return in the 18h. 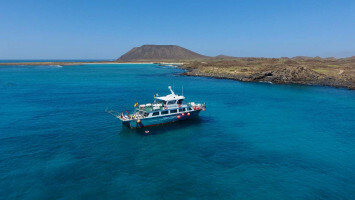 • Round trip boat ticket: Corralejo - Isla de Lobos - Corralejo. 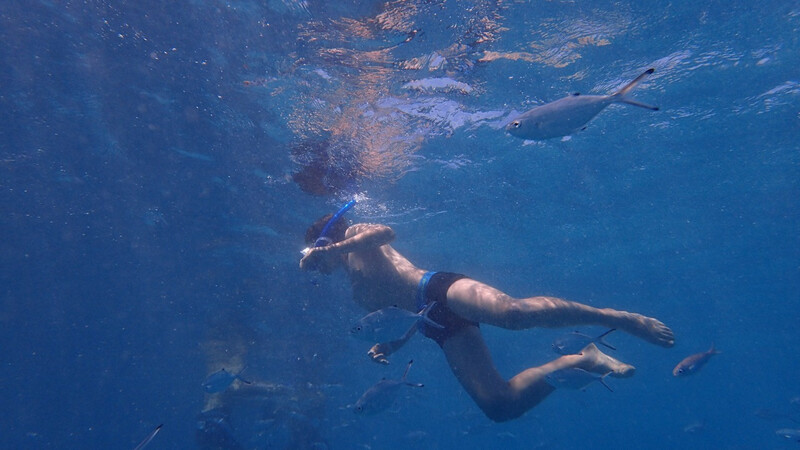 • Mini-Cruise & Snorkel activity on the Glass Botom Boat to El Puertito and 25 minutes to watch the fish and swim. 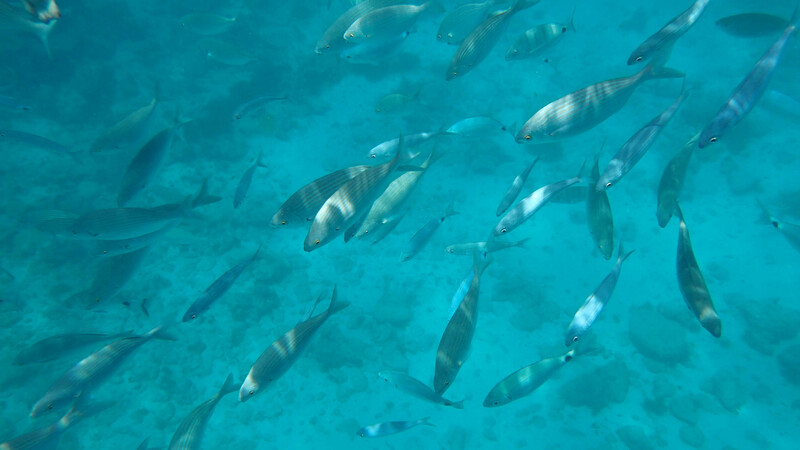 • Glasses and tube for snorkeling. • A drink on board. • Port taxes and fees. January 1 and 6, July 16 (Day of the Virgin of Carmen), December 25 and cancellations due to bad weather. The client can choose between going on the ferry from the pier of Corralejo (10:00 | 11:00 | 12:00 | 13: 00 *). Once in Isla de Lobos, they have free time to enjoy the island of Lobs. Regardless of the time they have arrived, you must be at the dock in Isla de Lobos at 1:15 p.m. to board the ship that will perform the Minicrucero & Snorkel activity. ** Only available in high season. • Bring enough water and food. • Wear suitable and comfortable shoes for walking (sports shoes and flip flops). • Use sunscreen (creams, hats, umbrellas ...). • Do not leave trash.